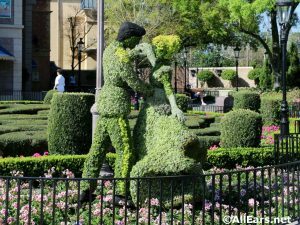 Looking for ways to take your next romantic Disney getaway to the next level? 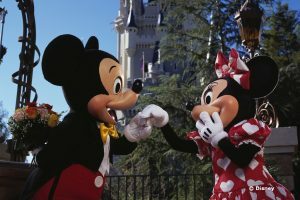 Here are five great ideas for a fun Disney Date Night! A visit to Animal Kingdom Lodge is a truly immersive experience. This resort, quite possibly better than any other at Disney World, completely transports Guests to an entirely different world. While its open savannah with its array of animals gets much of the attention, Animal Kingdom Lodge has so much more to offer. The resort is truly a celebration of African culture and this is reflected as soon as Guests enter into the awe-inspiring lobby. Of course, no cultural experience would be complete without showcasing the cuisine and Animal Kingdom Lodge delivers with three tremendous full service restaurants. With Sanaa at Kidani Village and Boma and Jiko at Jambo House, visitors to Animal Kingdom Lodge have no shortage of dining options to choose from. Each of these restaurants provides their own unique twist on African cuisine and has something different to offer, but it is Jiko that stands out as the resort&apos;s Signature dining option. One recent evening, Vickie and I drove to Walt Disney World for a dinner reservation at Jiko Restaurant. The Animal Kingdom Lodge abounds with Hidden Mickeys, so I took the opportunity to do some exploring before dinner. First, we strolled around Kidani Village. There is one appealing characteristic to me about the Animal Kingdom Lodge Hidden Mickeys: many are etched in rock or embedded in cement and are likely to last a long while! Blogger Jack Spence discusses Jambo House, the original section of Disney&apos;s Animal Kingdom Lodge, in detail, while sharing lots of new photos and video. During my stay in Walt Disney World earlier this month, I was able to visit many restaurants and experienced many delights… and the occasional low-light. These bits and bites are based mainly based on this trip only, your experience or even mine in the future may be different. 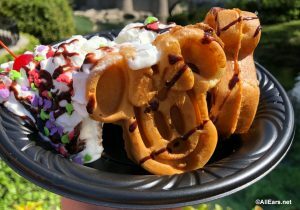 To try and sum it up for … Continue reading "Walt Disney World Dining Bits and Bites"
I’m back home now, but thought I’d finish writing about the rest of the trip. So, when we left our heroines they had just completed running the Inaugural Disney’s Princess Half Marathon. We pick up our story after they have returned to the Boardwalk and showered. Breakfast (a bagel) had been hours before, and since … Continue reading "Princess Half Marathon – The Rest of the Weekend"
One recent sunny day, I drove to the Animal Kingdom Lodge to check out some old and new Hidden Mickeys. Keep in mind that over 30 Mickey images are hiding in and around this unique resort. I found a few cool new images, thanks to submitters to my website! I’d been looking for this terrific … Continue reading "A Hidden Mickey Visit to Disney’s Animal Kingdom Lodge"